One of the fun things about cruises are the towel animals left in the cabins by the stewards. 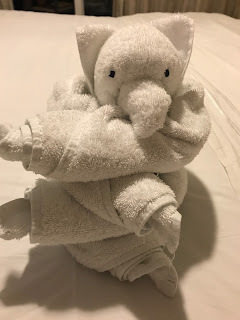 During our recent cruise, we received five towel creations to enjoy and I took an image of each one. I don't intend to post them all, but just a few of them. 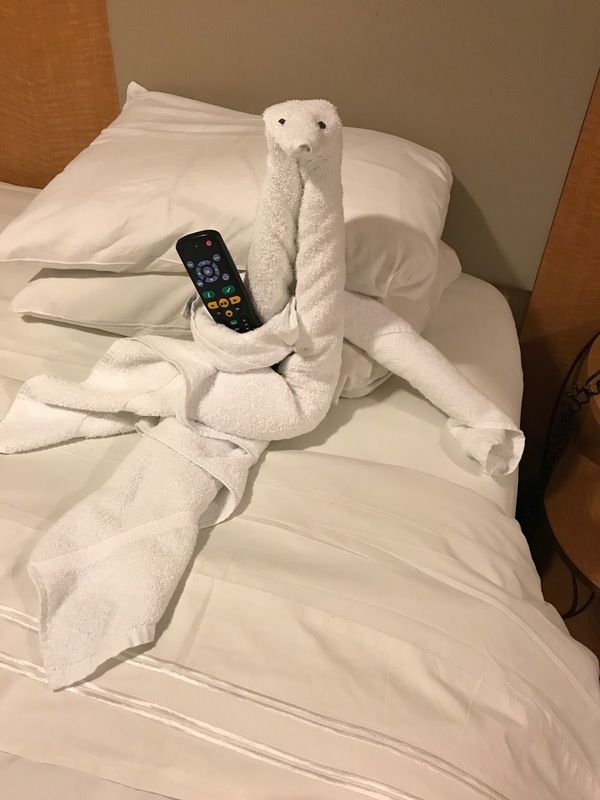 It is funny ho at the end of the day I looked for the towel animal to enjoy. It is funny the things that we look forward to on cruises. 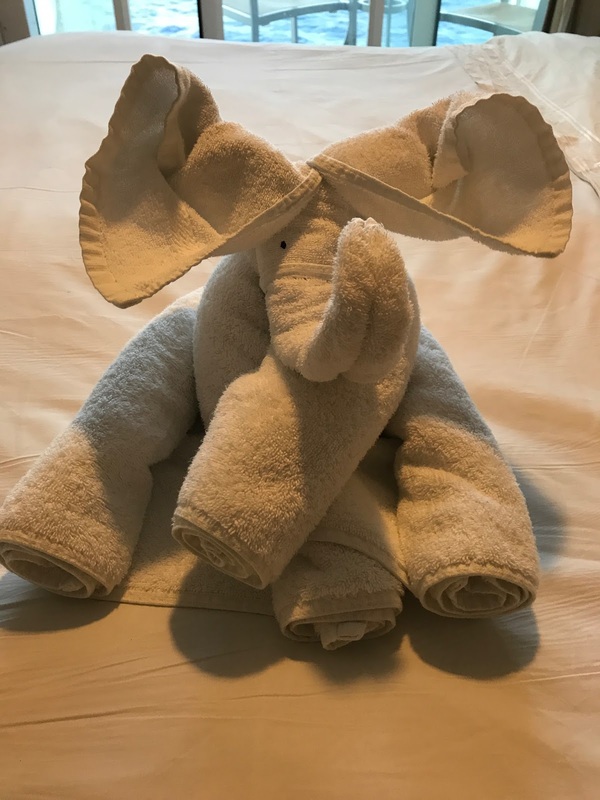 Towel animals. Who would have thought?